The K2 Cool Bean is a playful, uniquely-shaped powder board for the deepest days. K2 says “its wide nose and tapered swallowtail produce maximum float in deep snow, and its extra width nearly eliminates toe and heel drag for unmatched corduroy carving and surfy playfulness.” The Cool Bean is part of a growing number of boards with short and wide dimensions, and it’s the solid counterpart to the Split Bean that Andrew Forward reviewed last year. With such a unique shape and style, I was interested to see how the Cool Bean rode, so I took it with me to Japan to test its deep-snow performance, and then brought it back home to New Mexico to test its all-mountain capabilities. Simply put, the Cool Bean’s profile is setback rocker. The front of the board is heavily rockered until the front inserts and the remainder of the board is flat until the very tips of the swallowtail, where the Cool Bean has just enough tail rocker to keep the tips off the snow on a flat surface. The Cool Bean has a rather stiff flex profile, partly due to its the short length. The swallowtail allows the end of the tail to flex quite a bit more than the rest of the board and it provides a hint of pop which the Cool Bean would otherwise be lacking. The binding inserts allow for numerous different stance widths and setback distances. I found that changing the stance allowed the board to be a bit more versatile in various snow conditions, but it does require a fair amount of trial and error to find the right stance. That said, the reference stance is a great starting point, though a little less setback can be nice for non-powder conditions. The Cool Bean owes most of its ride characteristics to its surf-inspired directional shape. The widest point of the board is set further backwards than traditional boards and tapers strongly from that point with only a slight widening after the rear inserts. By moving the widest point closer to the front-foot weight point, as well as shortening and narrowing the tail, the board becomes incredibly quick to pivot around the front foot. I will discuss the results of this shape further below. 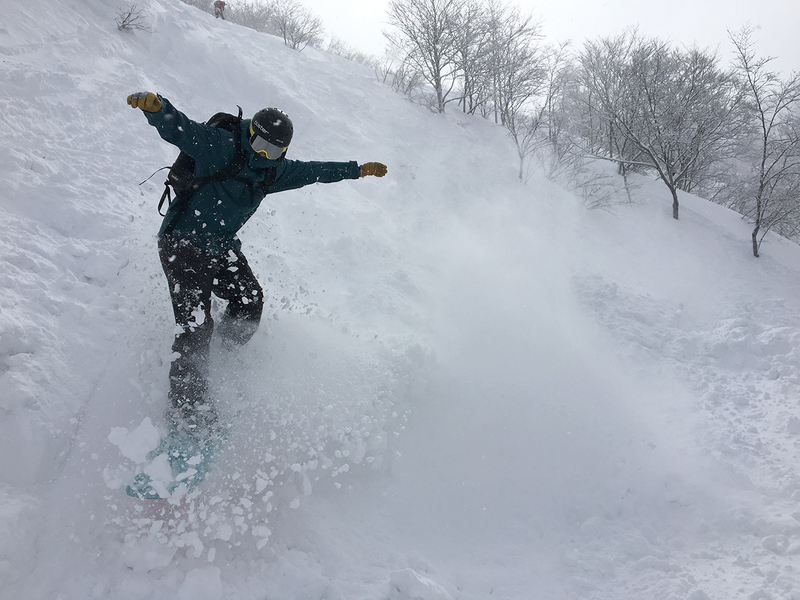 The Cool Bean is unapologetically a powder board, and in deep conditions it does not disappoint. The Cool Bean has plenty of surface area in its wide shovel which provides plenty of float. Meanwhile, the short length keeps the board quite quick to turn in deep powder. 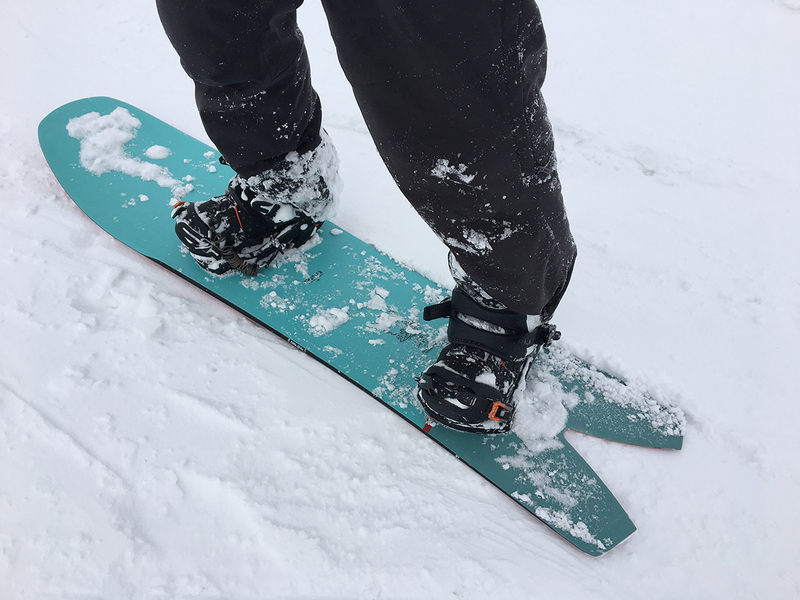 The taper and swallowtail allow the board to get up to speed quickly, even in deep snow and flatter terrain. The combination of the above qualities creates a board that rides naturally in deep snow — the Cool Bean requires almost zero conscious thought or input to achieve optimal float. I experienced zero leg burn as a result, even on long, flatter Niseko powder laps. 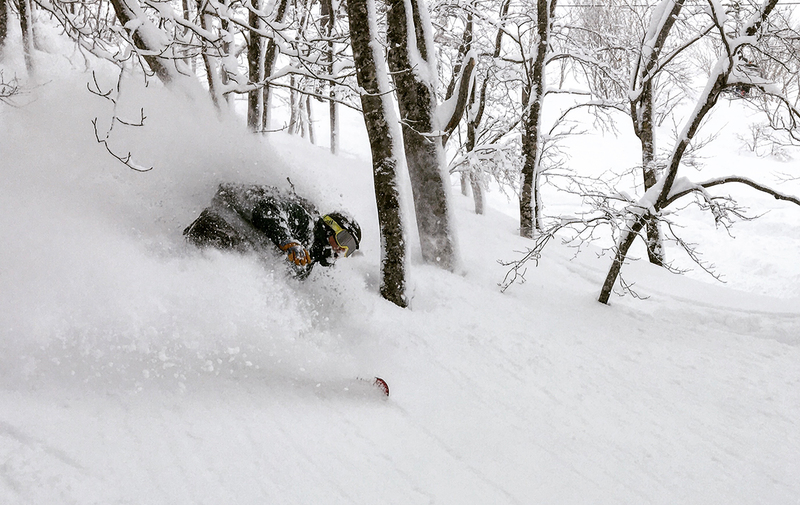 Nate Murray on the K2 Cool Bean, Niseko, Japan. In more moderate powder conditions (e.g. 6-12”), the Cool Bean’s performance varied depending on the condition of the base surface. 6-12’’ of powder over soft snow felt great, but the same amount of powder sitting on top of firm snow felt unpredictable and rough. I think this is due to the high volume shovel and low volume tail shape. This design allows the front of the board to float well, but the depth to which the tail sinks in order to achieve this float causes the Cool Bean’s tail to make contact with deeper snow layers, which can be jarring when those deeper layers are firm. While the Cool Bean will still feel surfy and fun in mid-depth powder, it is best on the very deep days. The Cool Bean is less rewarding in choppy conditions. Slight bumps can cause the short tail to lose contact with the snow, and in these moments where the tail releases, the width of the front shovel pulls the board around quite quickly. This created a tendency for the board to drop unexpectedly into check turns when I was trying to stay more on the fall line. This can be countered somewhat by moving the bindings forward toward a more centered stance which creates more usable tail length. The Cool Bean can also be fun cruising groomers between powder laps, or on warmer spring days. The width of the board allows for powerful carving without dragging toe or heel, although the short length of the Cool Bean creates a definite speed limit when cruising groomers. The Cool Bean is best on either fresh groomers or softer spring snow, since these conditions allow the board’s width to create more edgehold relative to its short effective edge. Well, that depends. The Cool Bean is a ton of fun in powder and for slushy spring laps, but it is not a daily driver. That said, when considering adding a board to your arsenal, the Cool Bean rides so differently than more traditionally-shaped boards that it can serve as a great complement to your everyday board without any overlap. Further, the intuitiveness of the Cool Bean will maximize your fun in powder without requiring several laps to adjust from a standard board. And K2 also offers the Cool Bean as a splitboard — it’s called the Split Bean — for powderhounds who prefer to earn their face shots. The K2 Cool Bean is built to be a loose, playful powder board, and it excels at this. In achieving a surfy feel, however, it does sacrifice all-mountain performance, especially in choppy snow. So the Cool Bean is probably best suited as part of a quiver, filling the role of a dedicated board for the deepest powder.